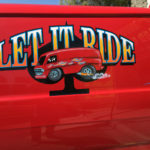 IF THIS VAN IS A ROCKIN’ DON’T BOTHER KNOCKIN’ ! 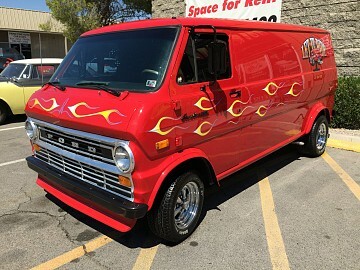 This brings back memories of when me and my buddies in the Van club used to cruise our Vans to the beach in Orange County, Calif back in the 70s ! 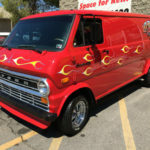 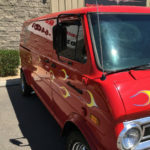 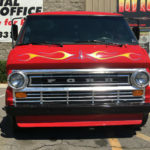 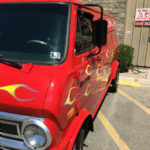 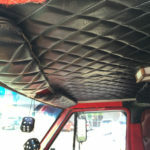 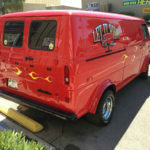 This is a super sweet Surfer Van conversion that was done just right to highlight the way we used to fix-up our California Surfer Vans… at 79,800 has what is reported to be the low actual miles. 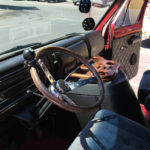 Has the original 302 motor with 3 speed on the tree manual transmission. 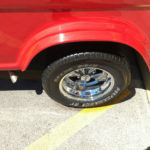 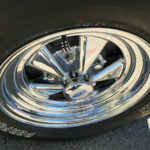 Big and little high performance tires with like new Cragar mag wheels with flared fenders and a spoiler. 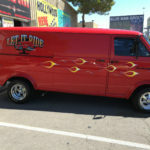 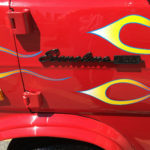 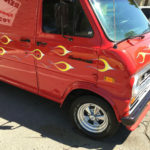 Awesome bright red paint with flames and pin-stripping, this sides are razor straight.. now waves or dents. 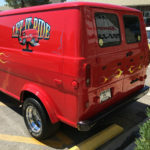 Powder-coated emblems and bumpers and mirrors, the back is like a pimped-out bedroom on wheels, with shag carpet, tuck & roll , storage compartments, privacy black out curtains, high-back captains chairs that swivel around so you can party with the peeps in back, wood steering wheel with 8 ball brody knob… too many treats to list. 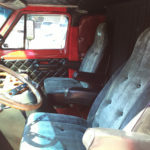 Plus this thing is very clean underneath with no signs of any rust besides superficial.. if at all. 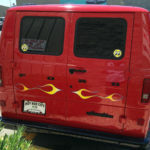 Tinted Windows…. 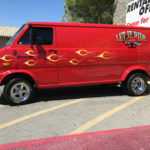 this thing is a Party on Wheels !